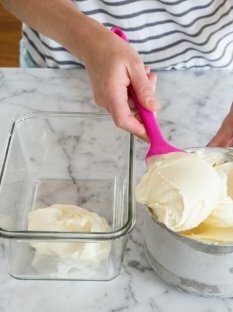 Vanilla ice cream with an egg custard base isn't particularly hard, but it can feel that way the first time you make it. Here's a straightforward guide through all the tricky steps so you know exactly what to do and what to expect along the way. This ice cream is a classic, if not the classic. 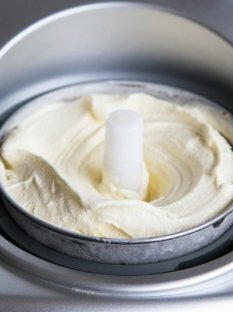 It uses egg yolks to both thicken the milky ice cream base and give the finished ice cream a richer taste and creamier mouthfeel. 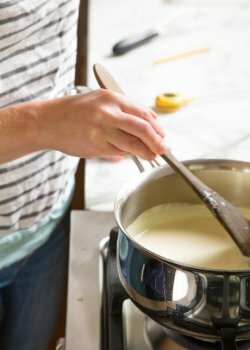 The more egg yolks you use, the richer and creamier your ice cream — use fewer yolks and your ice cream will taste lighter and more milky, but will also be a bit less smooth. Personally, I like a ratio of four yolks to three cups of dairy. I think this makes a solidly decadent ice cream without making it taste overly eggy. 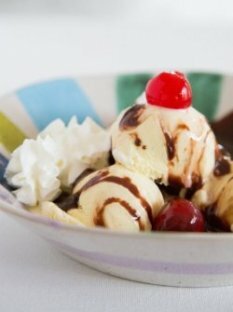 Using eggs to make ice cream, while delicious, does requires some caution. 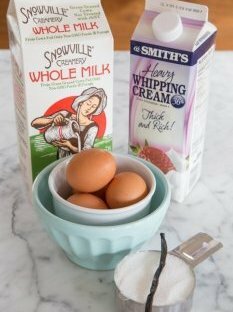 When heating the eggs along with the milk and sugar to make the base, it's easy for your attention to wander, resulting in little curdles of cooked egg in your ice cream.